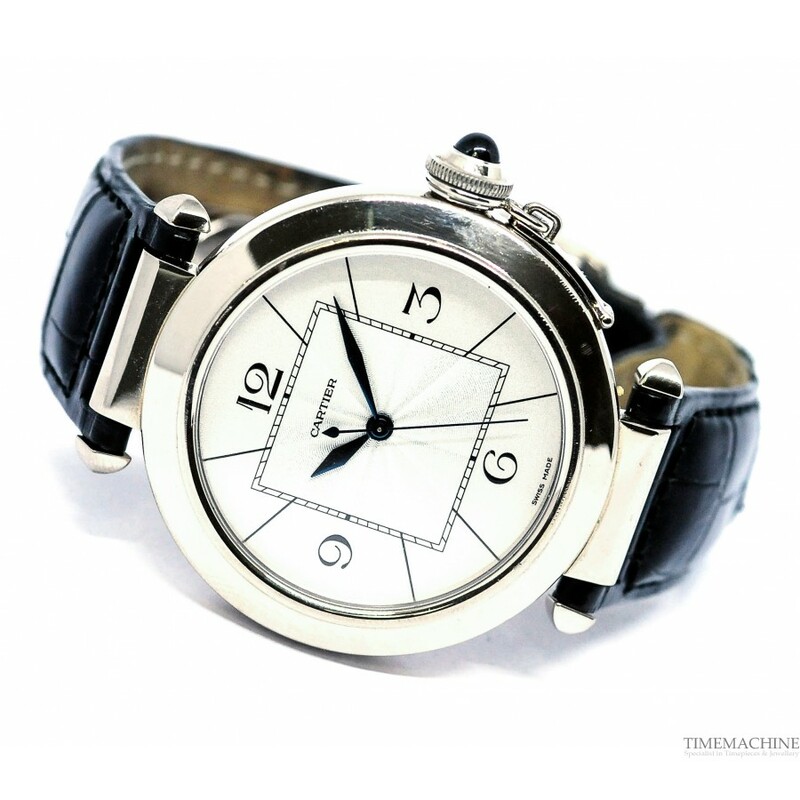 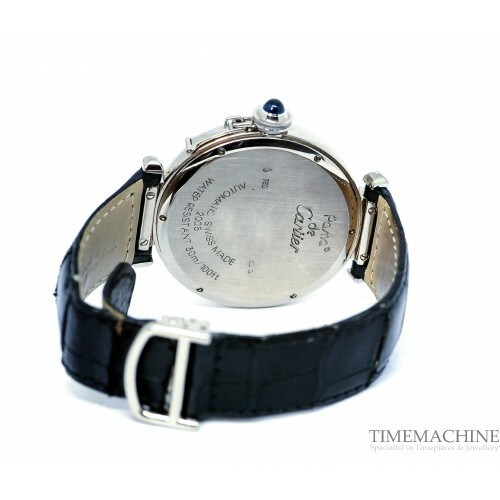 Pre owned, Cartier Pasha XL 2727, 42mm white gold case and stepped bezel, silver opaline dial with art deco guilloche center square and blued hands, sapphire crystal, black leather strap with a folding clasp in white gold, Pasha crown, water resistant to 30 meters. 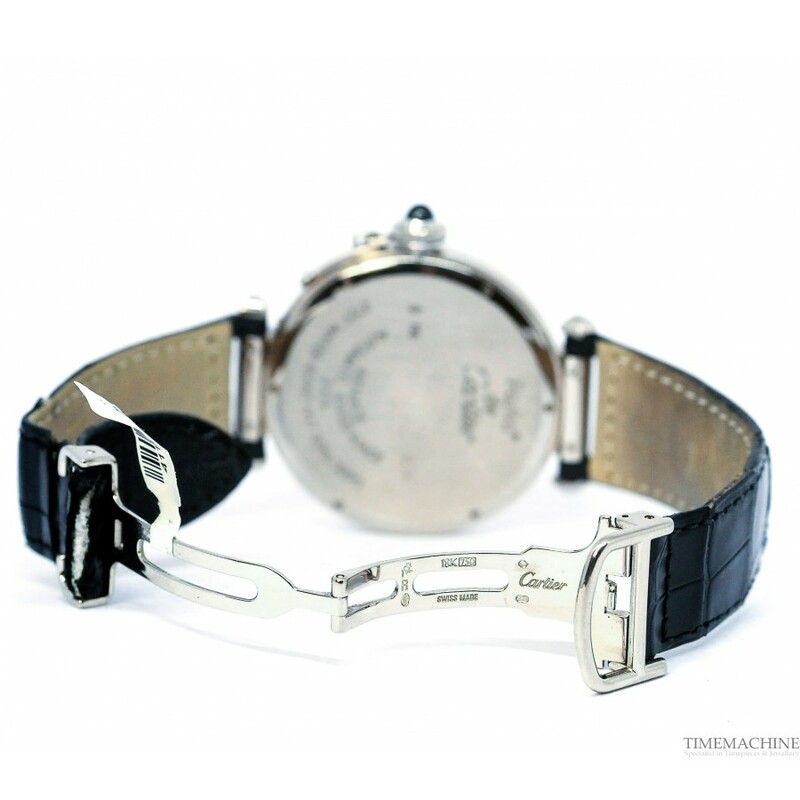 Full Set, original papers and original box it also carries a 12 months Time Machine mechanical warranty. Please Quote 4111 in all communications with us regarding this Timepiece. 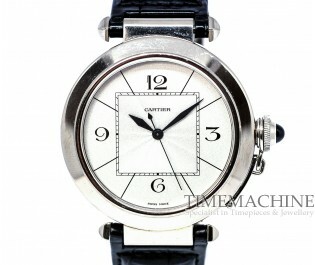 Louis Cartier created the very first Cartier Pasha in 1932 for the Sultan of Marrakech. 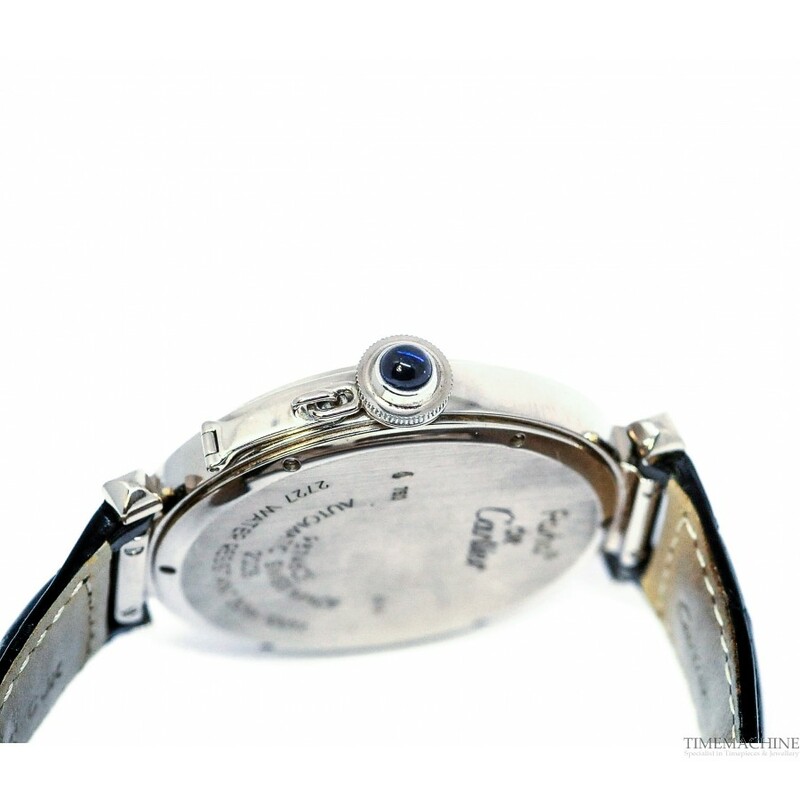 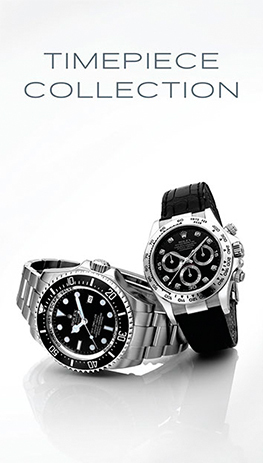 It was one of the very first water-resistant watches to be invented. 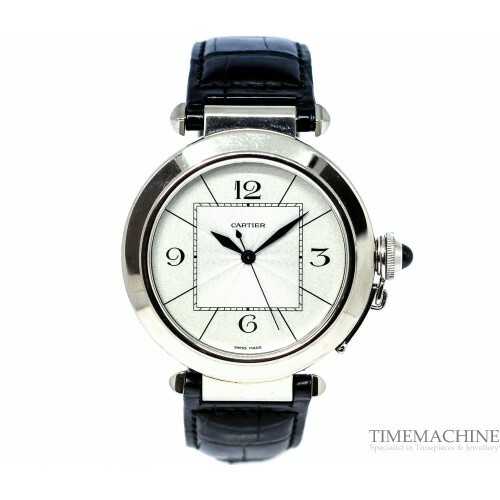 The timepiece is characterised by its simple elegance and circular dial that features four digits. 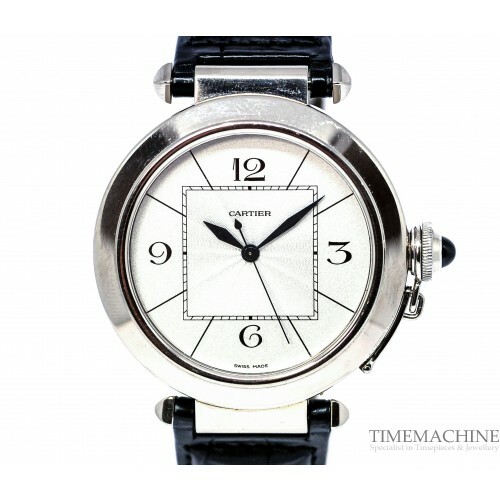 For decades, the Cartier Pasha was continuously reinterpreted and has now become a highly sought-after classic.